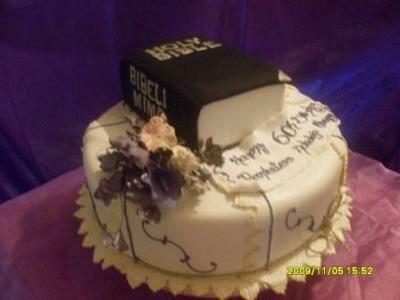 To make this Holy Bible cake, I made a round base cake . I cut off part of a square shaped cake to give a bible shape. Then I decorated it in black and gold.